Keep all your staff, contractors and visitors SAFE. LifeAid can assist you in ensuring your emergency management system and equipment are functional and meet the requirements of the statutory regulations. Testing is conducted to the Australian Standards: Australia Standard AS 1851 Maintenance of Fire Protection Systems and Equipment. The standards contain specifications for checking and installation of fire extinguishers, smoke alarms, exit lighting and hose reels. We can assist you in developing your fire evacuation plan as well as training in fire warden, extinguishers and conducting evacuation exercises. 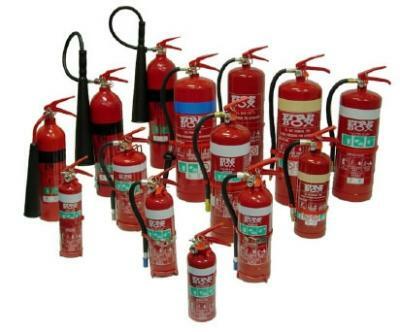 • All fire extinguishers must be inspected six monthly. • They may need weighing if they don’t have a pressure gauge. • Extinguishers must be emptied, pressure tested and refilled five yearly. • Testing intervals are recorded on a tag and attached to the extinguisher.